If handled properly, negotiations between the United States and the Taliban could potentially broker a lasting peace in Afghanistan. But just to get back to where they started from 17 years earlier, the two sides will need to overcome many obstacles. 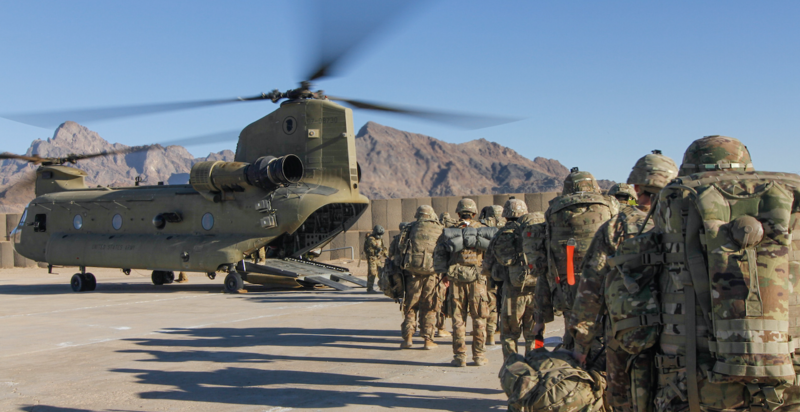 The longest war in American history may soon come to an end following an agreement in principle between the United States and the Taliban, which was recently concluded in Doha. It is significant in that it is the first time the two sides negotiated face-to-face, the negotiations were made public, and the principle accord that was reached addressed the two most important requirements that each side demanded from the other: the Taliban agreed to prevent any militant group like al-Qaeda from using Afghan territory to plan attacks on the United States and its allies and, in return, the US-led military coalition would withdraw its forces from the country. Notwithstanding the importance of the agreement, there are many hurdles that must be overcome before a final and permanent accord is struck. 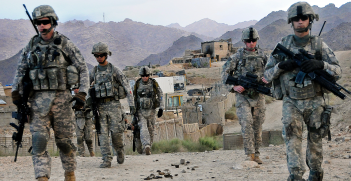 Both sides need to demonstrate a willingness to compromise in dealing with some of the crucial aspects of the agreement where other players, especially the current Afghan government, have a stake in the outcome. Sequencing: It will be extremely important to agree on a process that will establish a sequential order of specific steps to be taken by one side and reciprocated by the other. This process should begin by requiring the Taliban to declare a ceasefire, against which 10-15 percent of American troops will be withdrawn. This should be followed by an interest-based negotiation between the Taliban and the central government to reach a lasting political solution, against which another segment of American forces will be pulled out. The sequential quid pro quo on many issues still to be negotiated will cement the negotiating process and ensure the desired outcome. Reconciliation between the government and the Taliban: currently, the Taliban refuses to directly engage with the central government. President Ashraf Ghani insists that a final agreement must protect the rights and values of Afghans that cannot be disputed, such as national unity and sovereignty, territorial integrity and the central role of the government. Additionally, the role of civil society, the rights of other ethnic groups, women’s rights and a consensual representative government must be protected. Given the bitter history of the conflict, this type of political settlement will not be easy to achieve as it will also require the support of a cross-section of the Afghan population. Based on what we know, as the Taliban no longer seeks a monopoly on power nor an Islamic caliphate, an agreement is entirely possible. Both sides understand that full cooperation between them is the sine qua non to ending hostilities and securing a lasting solution. Pakistan’s role: Pakistan has always played a direct and indirect role in the Afghanistan war, as the country has considerable stakes in the stability and security of Afghanistan as a neighbour. For years, Pakistan provided a refuge for Taliban fighters, from where they staged terror attacks against Afghan and coalition forces. Knowing though that the United States is bent on withdrawing its forces sooner than later, Pakistan wants to ensure that its own security is not compromised, to strengthen ties with the United States and benefit financially and to prevent Indian influence in Afghanistan while enhancing its own. To be sure, Pakistan wants to strengthen its position regionally and prevent Iran from meddling in the internal affairs of Afghanistan as well. International funding: After 17 years of death and destruction, Afghanistan will need billions in financial aid for reconstruction, rehabilitation, infrastructure, schools, hospitals and housing. Indeed, any peace agreement will collapse under continuing economic distress. The United States and the European Union, in particular, must provide significant financial aid to help the country stand on its feet. Indeed, instead of continuing to spend billions on the war effort, the US financial assistance will be of better use in reconstruction efforts. Allowing for more time: Many hurdles are still in the way of reaching a sustainable peace in Afghanistan. But to prevent such potential obstacles from scuttling a lasting deal, the Trump administration should give time for the current negotiations to settle several intractable time-consuming issues and develop a shared political vision for the future of the country. Ironically, following the 9/11 attacks 17 years ago, the Bush administration demanded that the then-Taliban government prevent any violent extremists, such as al-Qaeda, from planning attacks against the US, which the Taliban refused, leading to the Afghanistan war. Sadly, it took the death of 2,300 American soldiers and tens of thousands of Afghans, and more than a trillion dollars, to accept the inevitable by reaching today’s agreement which is based on the very same principles. It will be tragic if either the United States or the Taliban squanders this initial agreement because the alternative is more death and destruction. Although the United States must end this consuming war, it should not withdraw precipitously and leave swirling instability in its wake, which will severely undermine US geostrategic interests. Dr Alon Ben-Meir is a professor of international relations at the Center for Global Affairs at NYU. He teaches courses on international negotiation and Middle Eastern studies. 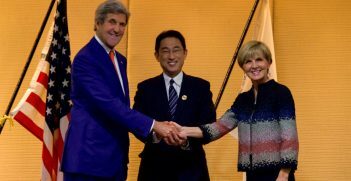 By focusing on a robust defence partnership, Australia and Japan can find strong security options beyond the US and China. 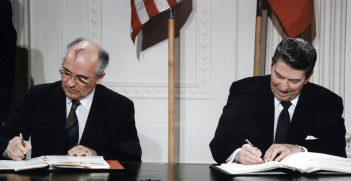 The collapse of the INF Treaty was caused by the US and Russia's mutual suspicion and their fear of rising powers not covered by the treaty.